When an industry giant such as WMS releases a brand new game there is no need to advertise it too much, as everyone knows that all their products are high-quality. One of their recent releases, Wicked Riches spread from the UK casinos across the Europe and quickly reached online casinos from all around the globe. WMS is a veteran company in the online gambling industry with more than 40 years of experience with the slot machine production. As soon as people were gaming online, they made online versions of all their land casino slots. In no time, they were making brand new video slots, popularizing the industry. The lines are fixed, with no adjustment options, but most of the gamblers do not have issues with that, especially when the quick betting system is involved. The only issue is that the maximum bet is $2.40 total, but low bettors are more than happy to see that. People from the online gambling community are starving for unique features and great looking graphics. Unfortunately, that is what some online slots are lacking nowadays, even though the technology improved a lot. WMS, luckily pays attention to the demands and delivers exactly what the gamblers need each time. That is exactly why the Winged Monkey feature was implemented in the Wicked Riches slots. Whenever the monkey symbol appears on the middle reel, one random regular sign is picked and all of the symbols matching the chosen one will turn wild. One monkey will fly across the reels for each matching icon. All animations are in 3D, which looks great on all devices. The bonus symbol may appear on the reels 1, 3 and 5. When all three are present, a new screen opens up with 8 fields available to choose from. Each one hides a random number that presents the cash prize. Once you pick the field, the reward is revealed and instantly transferred to your balance. There is a wild symbol in the game as well, and it helps to make a winning combination. It can substitute for all the regular signs, but does not help with any other (jackpot, bonus and monkey signs). Wicked Riches online is a machine with the 96.01% RTP, which is more than enough for the real money gameplay. Knowing that there are a lot of additions you have never seen before, launching the free version with no download required for the first few times is recommended. Once you get comfortable with all the elements in the game, simply find an online casino that has this game available to play. This should not be a problem because WMS has a great reputation and works with some of the most popular casinos in the world. Those with the best ratings and comments are always reliable and trustworthy because they already exist for a long time and have millions of users. All you need to look for at this point are decent promotional and bonus offers. Since Wicked Riches is not meant for high-rollers, looking for a no deposit bonus or the first deposit one with a high percentage is a smart thing to do. If you want to go into details, do a deep research on all the withdrawal requirements, because the lower they are, the better it is for you as a real cash gambler. This means that you will be able to get the payout sooner because the casino requires lower amounts in total to be spent in order to withdraw the money. 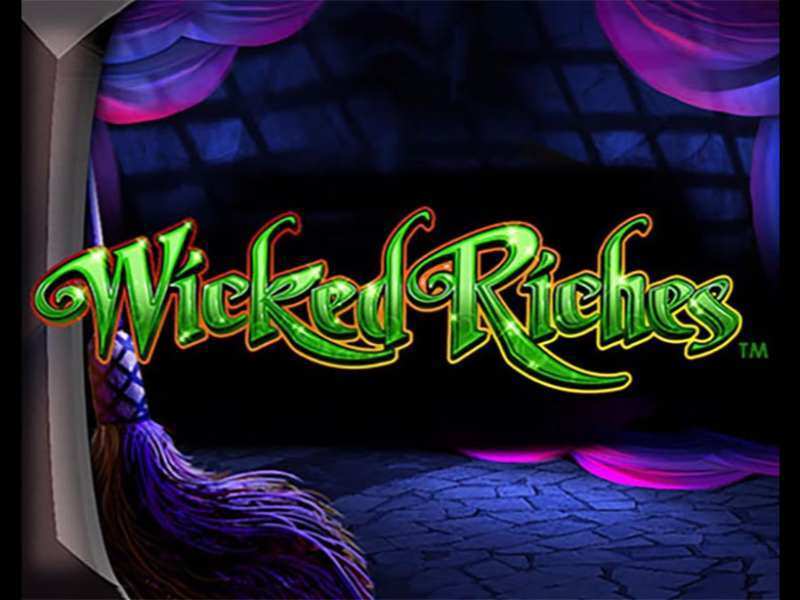 Play free Wicked Riches casino slot machine an participate in four different jackpot features! The jackpot comes with both demo credit and real money versions, making it very interesting even for those who are playing the fun mode. Getting 2000 cons on a machine that has the maximum bet size set at 2.40 is extremely generous and should be used by everyone! If slots with jackpot rewards are something that excites and entertains you, then we recommend playing the Siberian Storm Mega Jackpots slot. The game was made by IGT which is one of the best-rated companies in the entire industry, along with WMS. 0 responses to "Wicked Riches Slot"